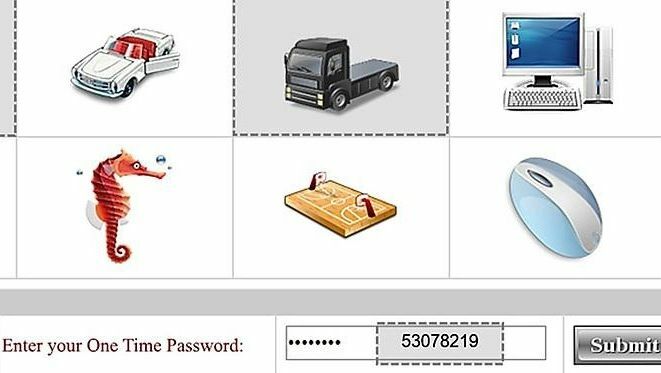 Researchers based at the University of Plymouth have come up with a new security process that uses a mixture of images, icons and patterns to protect your personal information. The method creates a unique one-use password and its creators say the system is easier to remember and more effective than traditional alphanumeric alternatives. The software, known as GOTPass, does sound a little convolted at first glance. The first phase requires a user to draw a pattern on a 4x4 grid, then choose one or more emoji-style images from a random selection of 30. When said user logs in via GOTPass, they'll enter their username/email and draw the pattern they originally created. This will then bring up a set of 16 images, of which two are correct and assigned to the user's account. Correctly identifying these two icons will then require the user to enter an eight-digit code based on the images selected. Sound complicated? Well, according to the University's own Centre for Security Communication and Network Research (CSCAN) the method is actually far swifter than it looks on paper and has proven to be far easier to remember during controlled trials. "In order for online security to be strong it needs to be difficult to hack, and we have demonstrated that using a combination of graphics and one-time password can achieve that," comments Dr Maria Papadaki, Lecturer in Network Security at Plymouth University and director of the PhD research study. "This also provides a low cost alternative to existing token-based multi-factor systems, which require the development and distribution of expensive hardware devices. We are now planning further tests to assess the long-term effectiveness of the GOTPass system, and more detailed aspects of usability," says Dr Papadaki. Initial tests showed that just eight out of 690 attempts to breach this security method were successful, with a further 15 cases achieved via coincidence.